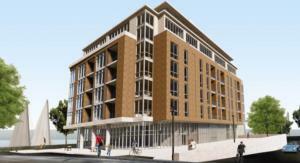 New developments from Rankin Construction Inc. Originally known as Stephens and Rankin Inc., the company was founded in 1978 by Tom Rankin and Dave Stephens. 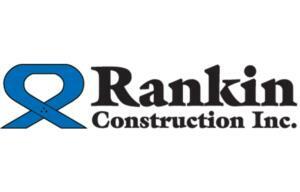 Rankin Construction has flourished under the direction of Tom Rankin, who has been the sole proprietor since 1991. Brian Rankin and Wendy (Rankin) Wing have subsequently become shareholders in the company and have worked their way up to the position of President and Executive Vice President/ Chief Financial Officer respectively. Tom takes pride in ensuring that Rankin Construction remains a diverse, people-oriented company with a successful track record for meeting and exceeding client expectations. As a professional engineer, Tom spent many years in highway and municipal engineering before becoming the co-founder of the company. He has always been in the forefront of new technology and values creativity and innovation within the members of the Rankin Construction team. While technical competence is important, the character and integrity of the employees is paramount. Rankin Construction is appreciated not only for its ability to complete projects on time and within budget but also for its ability to find and employ the optimal and most economical solution to the challenges presented by a project. Every member of the Rankin Construction team adheres to a simple but effective philosophy. Their first priority is to do the best possible job for the client. Tom Rankin always says that “Our word is our bond", our first priority is to perform efficiently and to the best of our abilities. We make sure that every project is completed to the satisfaction of our client. This philosophy translates into long-term relationships because clients value our work and contact us for future projects as well as recommend us to their business associates. Anyone can make one project profitable but we believe in developing a professional relationship with our clients and providing them with consistent work of the highest calibre that they can depend on. 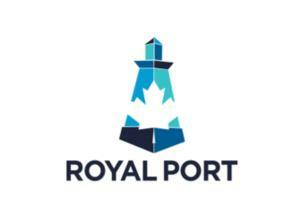 Royal Port in Port Dalhousie now more than 50% sold! We just received news that Royal Port in Port Dalhousie by Rankin Construction Inc. is more than 50% sold and the sales centre is now open to the public! 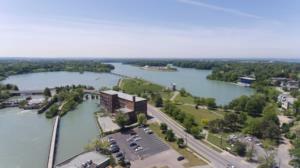 There are a few reasons to be excited about Rankin Construction Inc.’s new Royal Port condo development in the Port Dalhousie area of St. Catharines.